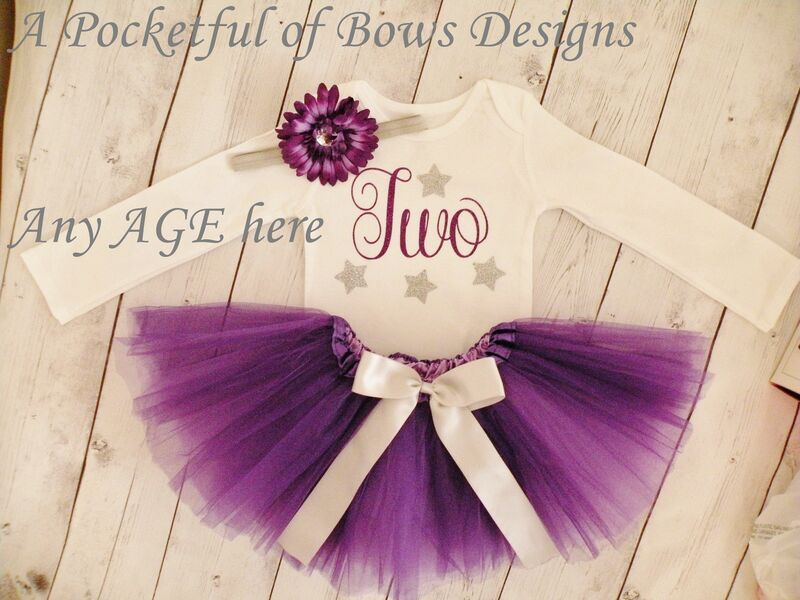 Birthday girl tutu outfit in ages one, two, three, four or five. 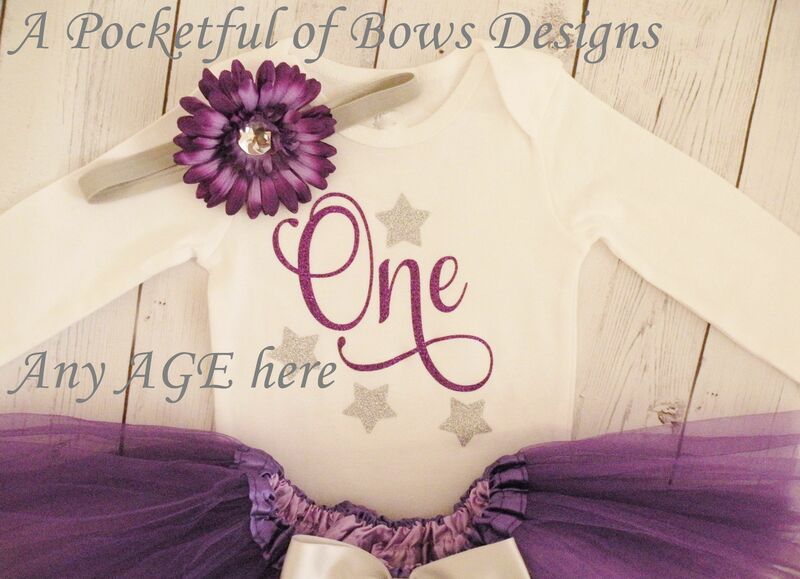 The top has the birthday age in purple with silver stars. Long or short sleeves available. 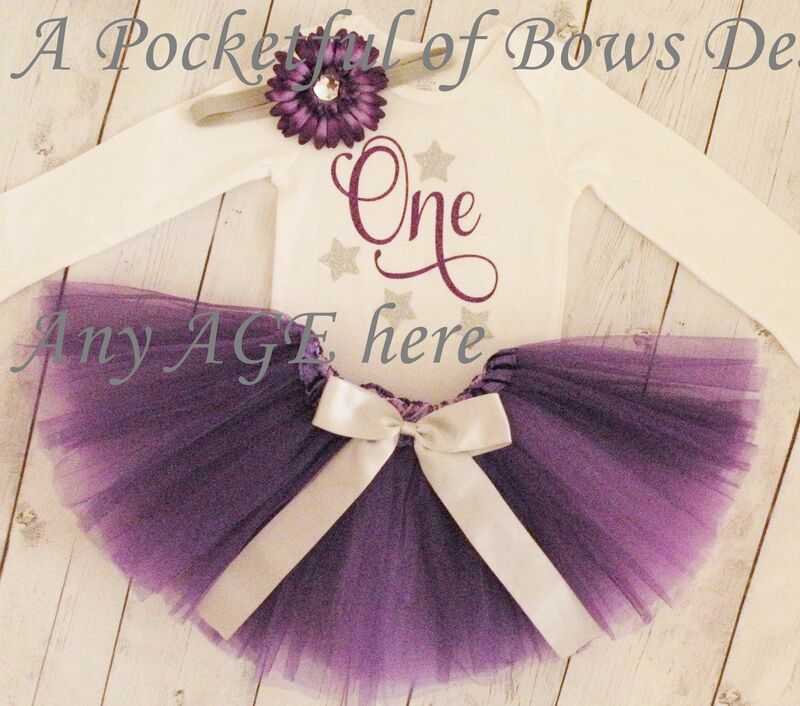 The skirt is dark purple with a pretty bow attached at the waist. 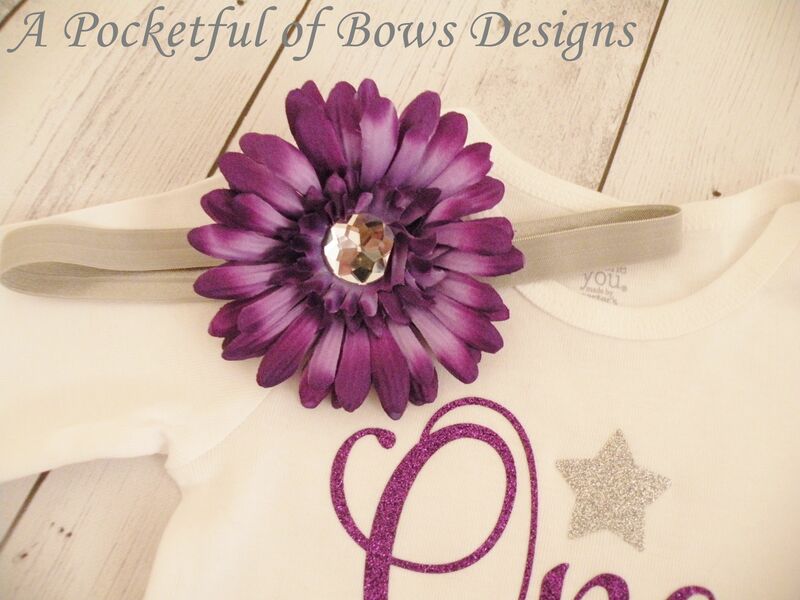 The matching purple headband has a flower with gem center. Flower clip also available. Ages ONE TWO THREE FOUR FIVE.